We have the new Hi-R 700 microscopeavailable upon request for your upcoming course with us. While many surgical microscopes are generally designed for a number of different surgeries, they aren’t crafted to address your specific needs in spine surgery. The Hi-R 700 is. For over 150 years, Haag-Streit has set the standard for precision mechanics and innova­tion, with deep experience in light transmission and depth of field technology. And we know outpatient spine surgery has to be viewed differently. 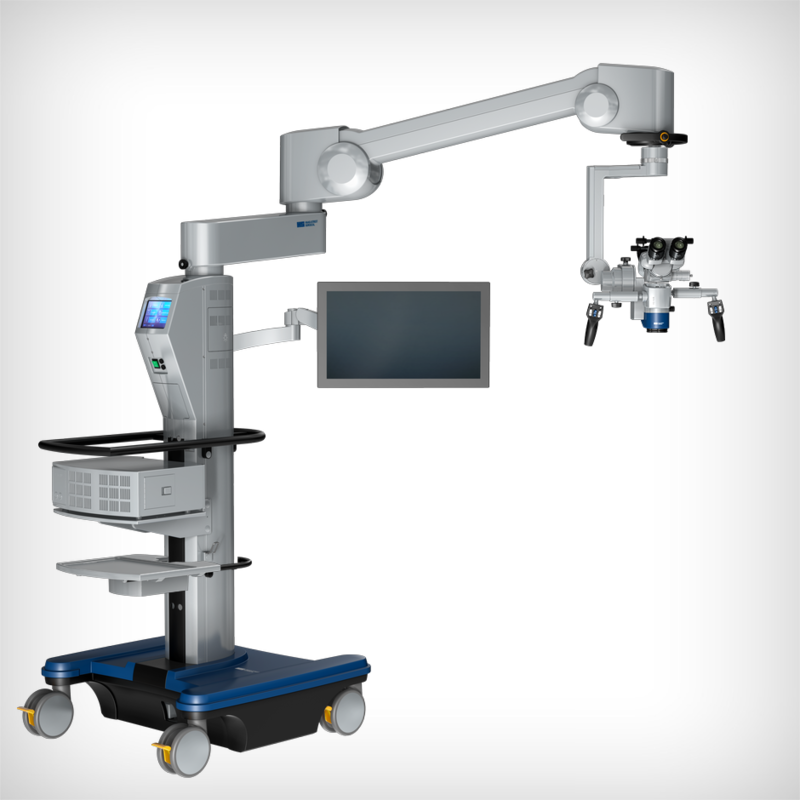 Providing incredible visualization, long working distance, and ease of operation, the Hi-R 700 is built with spine surgery in mind. In spine surgery, every detail, every millimeter and every shadow counts. Haag-Streit has engineered the Hi-R 700 to provide optimal visualization and illumination. Our 25mm stereo base is the widest available in the industry, resulting in ideal stereoscopic visualization and realistic, best-in-class 3D perception. There is no need to continually re-focus the microscope as the Hi-R 700 is engineered for large depth of field. Your comfort is crucial during spine surgery, and the Hi-R 700 gives you the space you need for more efficient, effective, and ergonomic workflow. Illumination is design to penetrate all through the working distance range, even with the use of MIS tube dilator systems. The special design of the axes results in more precise positioning and natural movement. With electromagnetic brakes and precision balance, little force is necessary to maneuver the microscope or keep it steady. AMSCO 3080 Surgical Tables Now Available At Our Facility! We have a total of 3 tables in-house to be used for your next hands course. The AMSCO 3080 features a radiolucent top and can be adjusted to Trendelenburg, back, side, foot and flex positions. It comes with a remote control for easy positioning.